The 22 April was a good fine night, I was setting up my 250mm F5 Newtonian for some galaxy work and was using Jupiter as a target to align up my scopes. 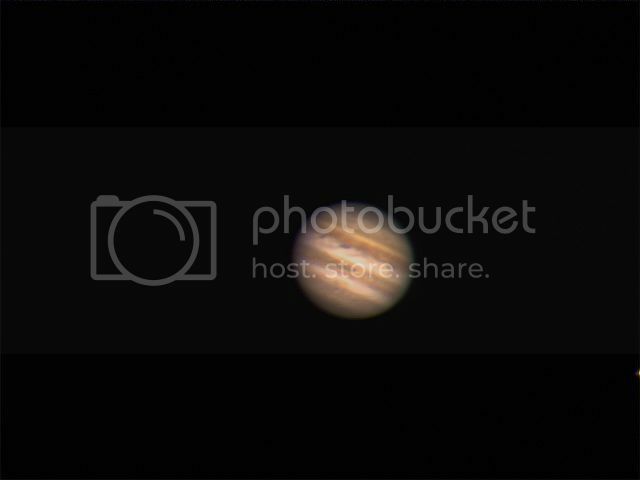 I noticed that the conditions look good so took a few images of Jupiter. The image below is at F12.5, so not ideal for planetary imaging. The rest of the observing session was a right-off as I had problems with my goto alignment !